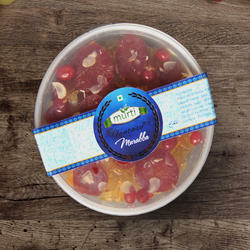 We at Murti Food Establishment, are engaged in manufacturing and supplying of high quality Packed Food. 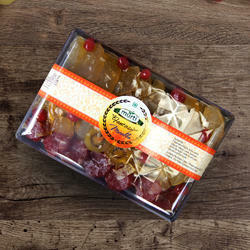 Our products are extremely delicious and natural, which is renowned for its natural properties. 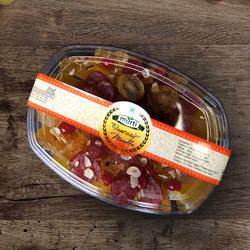 These food products are fabricated by using best quality organic fruits and vegetables. 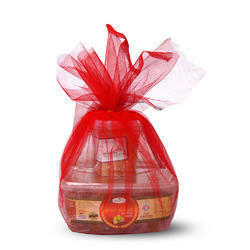 Along with packed food we also produce finest quality murabba gift packs. 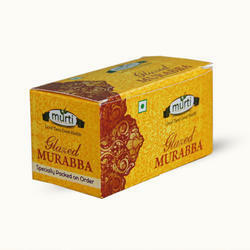 Available in various variants, these packed foods and murabba gift packs are made by using sophisticated technology and highly experienced professionals. All these products are available in a very competitive price and attractive packaging. 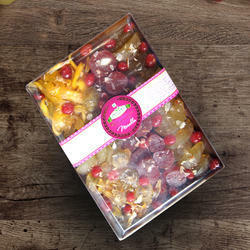 Murabba diamond Big: Premium murabba gift pack, packed in a diamond cut crystal box, garnished with pure almonds and cashew. Then again wrapped to a beautiful looking gift box. It has all the premium varieties like seedless apple, ring cut carrot, kiwi, seedless pear, Diced lokie, diced papaya, diced mango, cherry. 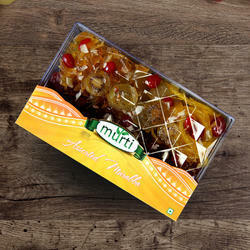 This is a faboulous looking murabba box that can be served as it is without touchng it. Only a toothpick with the tray is enough. 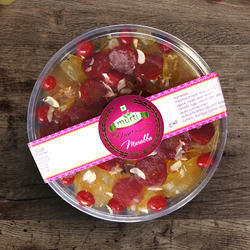 Murti Murabba Gift pack net: Basic murabba gift pack, packed in a plastic tray, garnished with pure almonds and cashew. Then again wrapped to a beautiful looking gift box. This is the basic start for the gift pack which suits everyone's pocket. It has all the varieties like apple, carrot, papaya, mango, cherry. 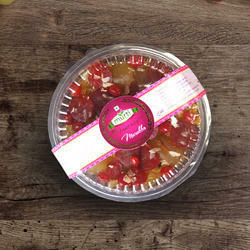 Murabba bowl: Basic murabba gift pack, packed in a plastic bowl, garnished with pure almonds and cashew. Then again wrapped to a beautiful looking bowl.This is the basic start for the gift pack which suits everyone's pocket. It has all the varieties like apple, carrot, papaya, cherry. 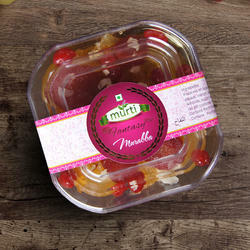 Murti Murabba CR Oval: Basic murabba gift pack, packed in a plastic tray, garnished with pure almonds and cashew. Then again wrapped to a beautiful looking gift box. This is the basic start for the gift pack which suits everyone's pocket. It has all the varieties like apple, carrot, papaya, mango, cherry. 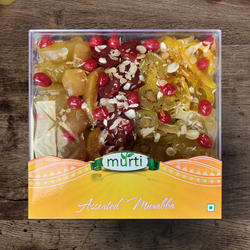 Murti Amla murabba:Exclucive murabba gift pack, packed in a , garnished with pure almonds and cashew. it is good for health. amla is good for helth daily one amla reduse a problem of cancer, the amla is full of nutrtions. like a vitamin B, vitamin C, charbohydrate and protins . 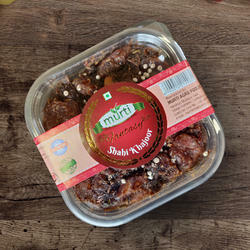 Murti Paan Kahjoor is an amazing mouth freshner with goodness of seedless Dates (khajoor). 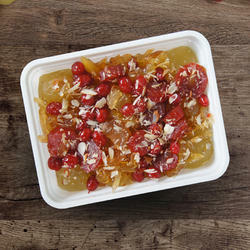 It can be consumed after meals as a sweetdish or mouthfreshner and during the day to comlete your diet. 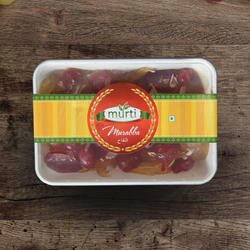 Murti Murabba tray 900: Basic murabba gift pack, packed in a plastic tray, garnished with pure almonds and cashew. Then again wrapped to a beautiful looking gift box. This is the basic start for the gift pack which suits everyone's pocket. It has all the varieties like apple, carrot, papaya,papaya, cherry. 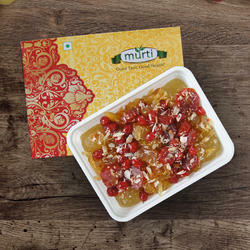 Murti Murabba Regular Tray800: Exclusive packed in a plastic tray, garnished with pure almonds and cashew. Then again wrapped to a beautiful looking gift box. This is the basic start for the gift pack which suits everyone's pocket. 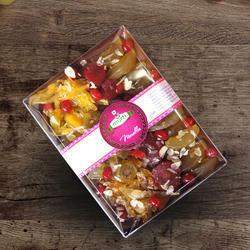 It has all the varieties like apple, carrot, papaya, mango, cherry. Being an eminent organization in the industry, we are involved in providing a premium quality range of Murabba Platter to our clients.